This is how your day starts perfectly! 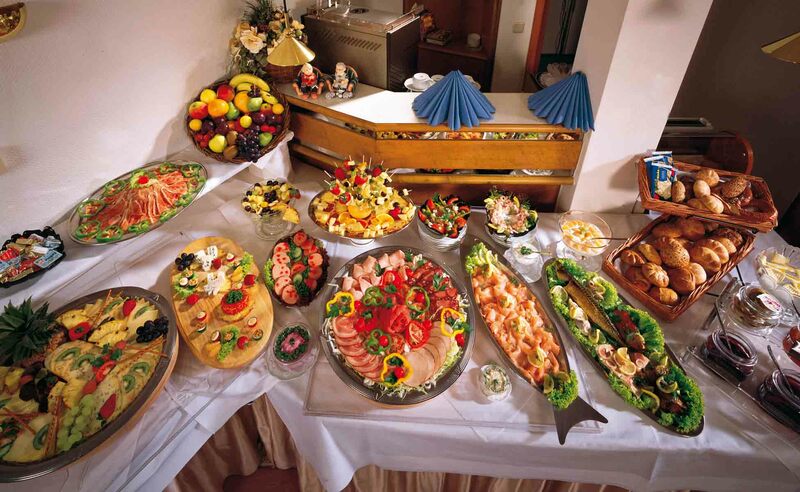 Enjoy our full and rich breakfast buffet. It can easily compete with those from Hamburg’s high class hotels and made us well known far over the borders of Wedel and Hamburg. But try out yourselves! Breakfast is included in the room price. We have sonething that suits every taste. From fresh fruit, rich cold cuts and cheese plates, delicious salads, fresh fish and scrambled eggs up to tasty jams (some of which are home made), different cereals, yoghurt, cake and bread (some of which are baked in our very own wood oven), there’s everything a food lover could possibly want. On the weekends, our beloved ghost of the house plays the piano .